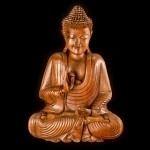 Uniquely among world religions, Buddhism started with a leader but without a God. 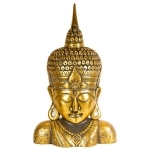 Gautama Siddhartha, the historical Buddha or “Awakened One”, born in the 6th or 5th century BC, was a charismatic teacher who took little or no interest in the world of deities and spirits. 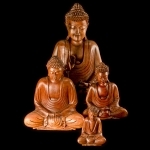 What he taught was a series of spiritual truths about the nature of existence, realised during a hard-won and personal experience of enlightenment to the realisation of nirvana: a sublime condition in both life and death that was without suffering or taint. 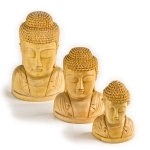 Our range of traditional carved wooden Buddhas serve as a reminder of the peace that he sought.